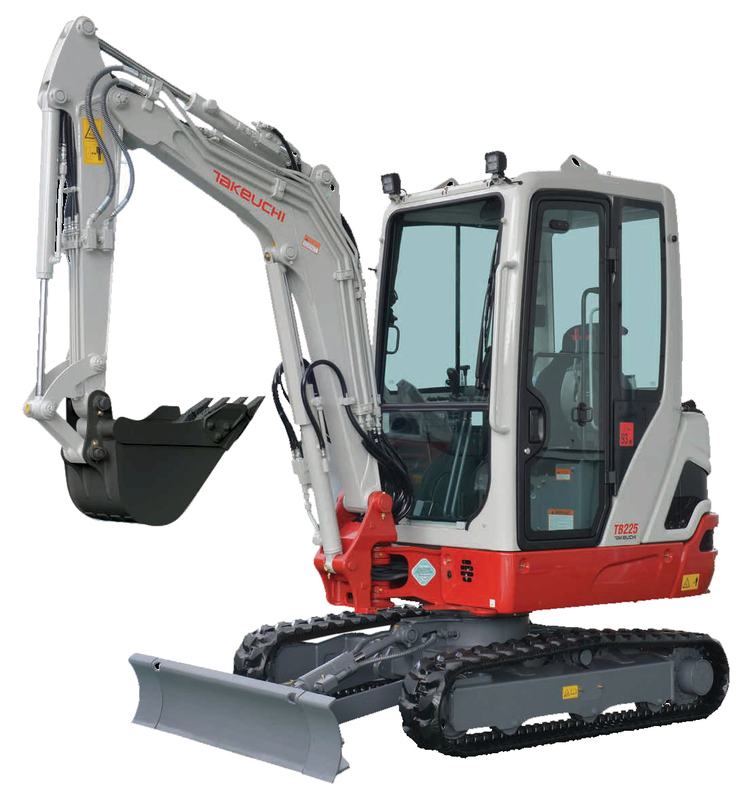 The TB225 mini excavator offers maximum excavating performance in road towable weight class. Weighing in at just 2.5 tonnes Takeuchi’s latest model comfortably meets the requirements of legal towing on UK road networks, with room for additional attachments, tools and materials. The TB225 comes with a massive 16.5kW engine, very powerful for a 2.5 weight class excavator providing the added digging power required for the toughest groundworks.